Before we move onto what we do to identify and solve genuine issues, we need you to know why we do things differently, and why we hate the D word. The Dominance theory of dog training and behaviour, on the face of it sounds quite plausible, and it’s wrapped up in all sorts of romantic ideas: the concept that our dogs are closely related to wolves is a notion people get quite misty-eyed about. 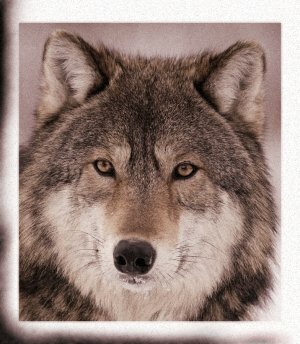 So when this theory bases dog behaviour on wolf-pack behaviour, people are convinced because it sounds entirely plausible. After all, dogs and wolves are closely related, aren’t they? When you look a little deeper, the whole thing just doesn’t make sense. Firstly, we have to decide whether comparing dogs to wolves is a good place to start. As we said earlier, it’s been proved via DNA testing that dogs and wolves split as species somewhere around 100,000 years ago. We cannot think of any example where you would rely on information that is 100,000 years out of date instead of using up to date ideas and methods. So, it stands to reason that if you look at a breed like a Chihuahua for example, they are more closely related to a St. Bernard than they are a Wolf. That makes sense, but if you went to a training class with a St. Bernard, and the trainer started to talk about your dog by comparing them to Chihuahuas, you’d stop listening. 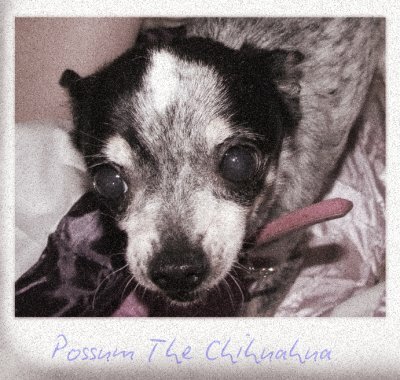 Possum The Chihuahua. Definitely not a Wolf.